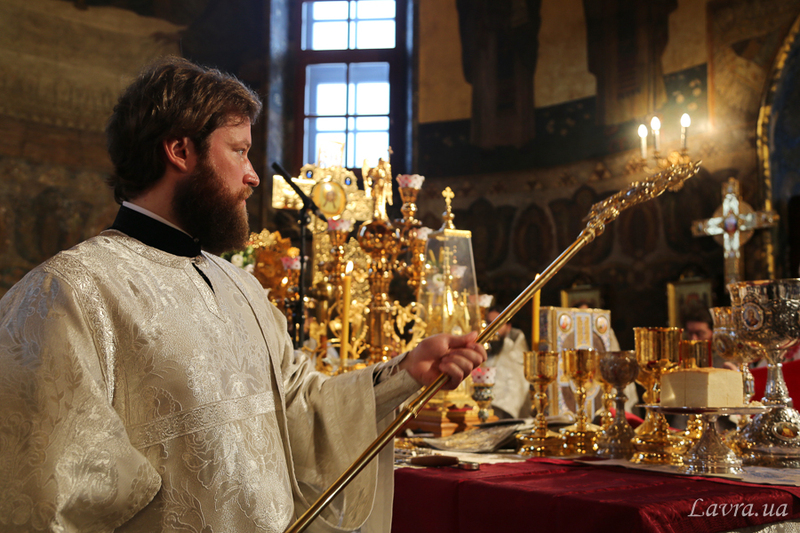 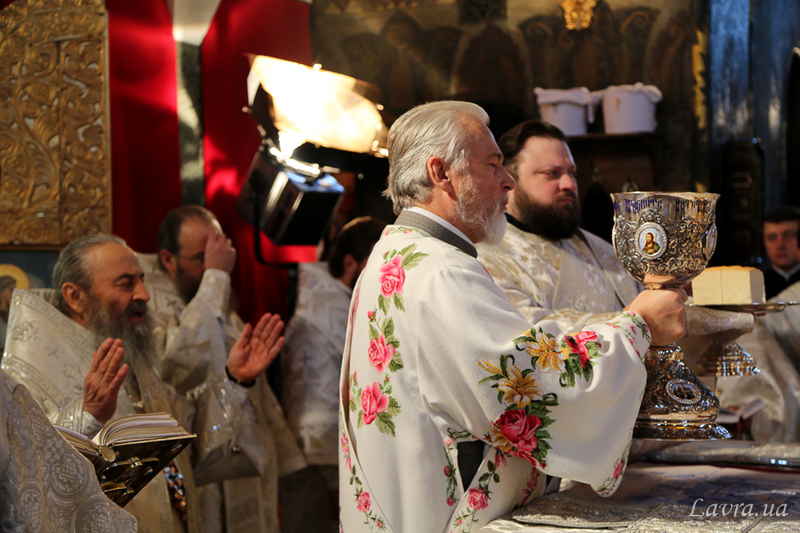 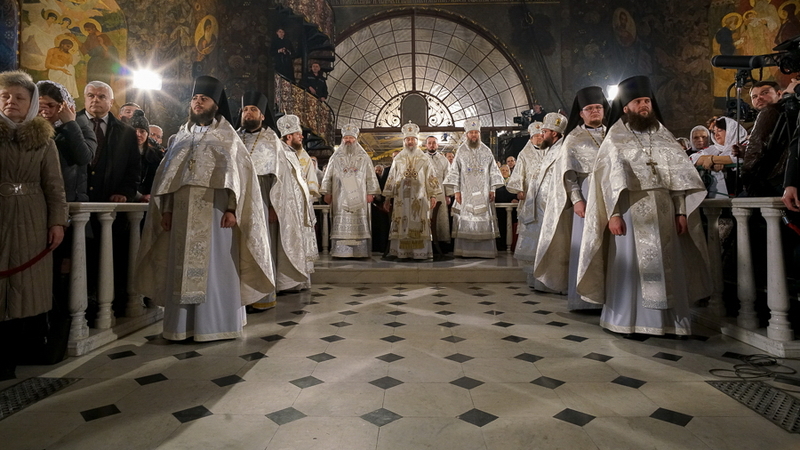 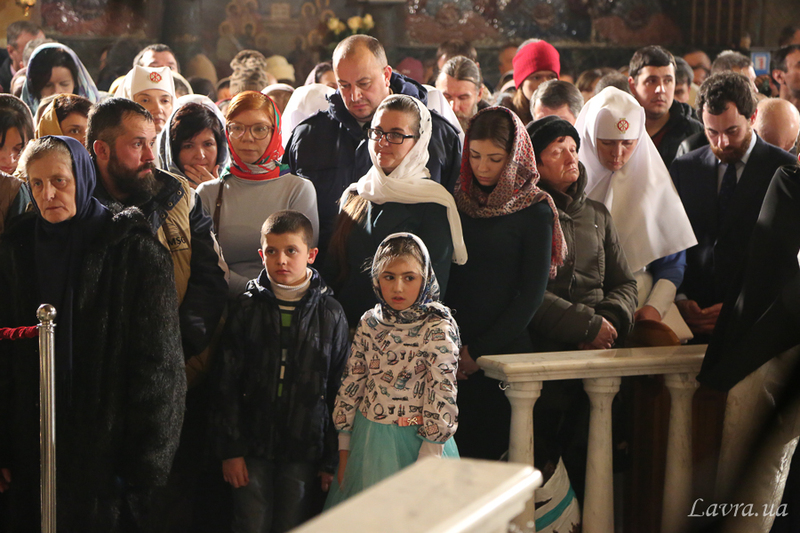 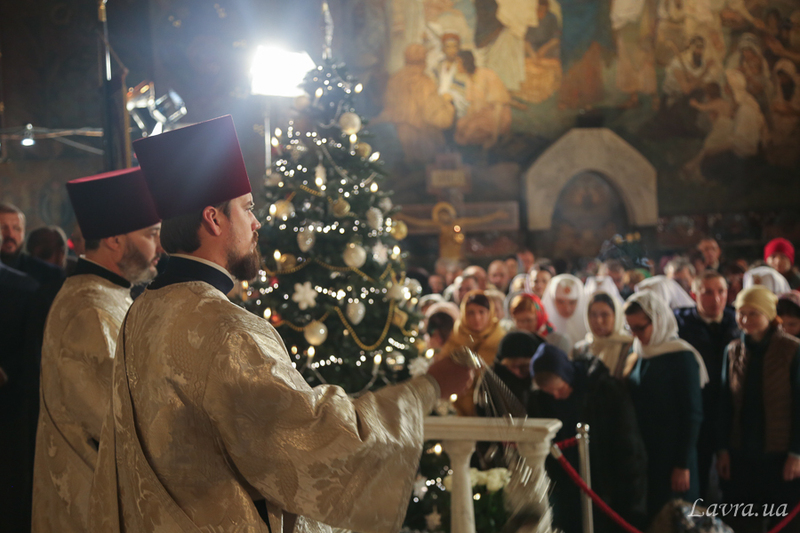 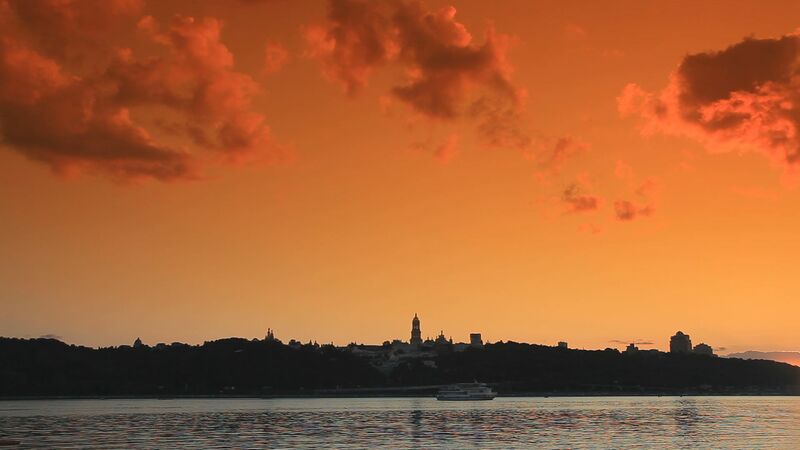 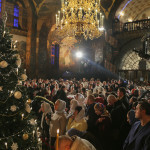 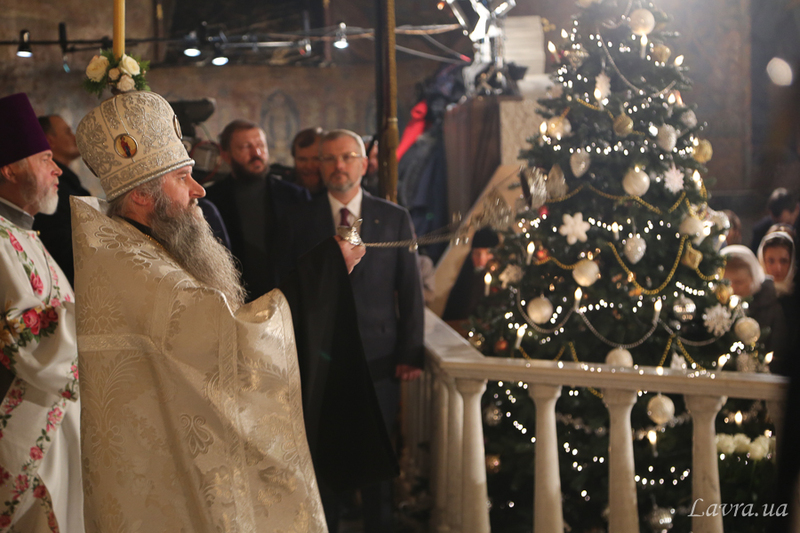 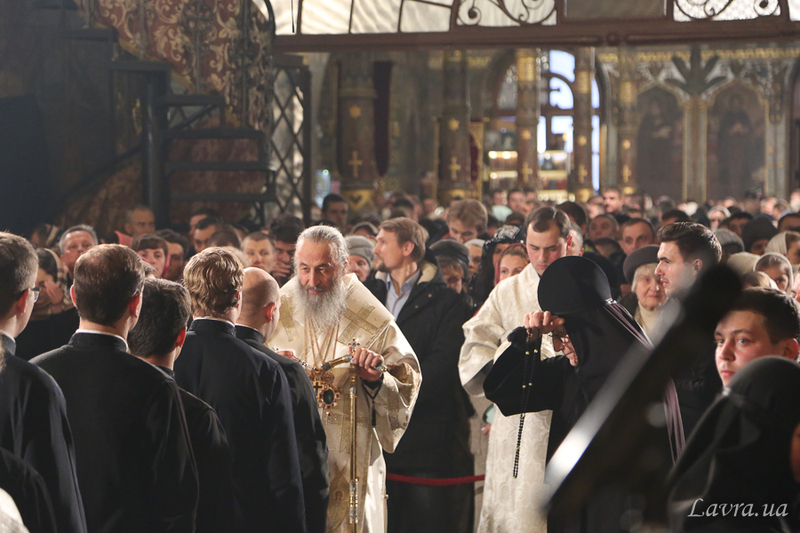 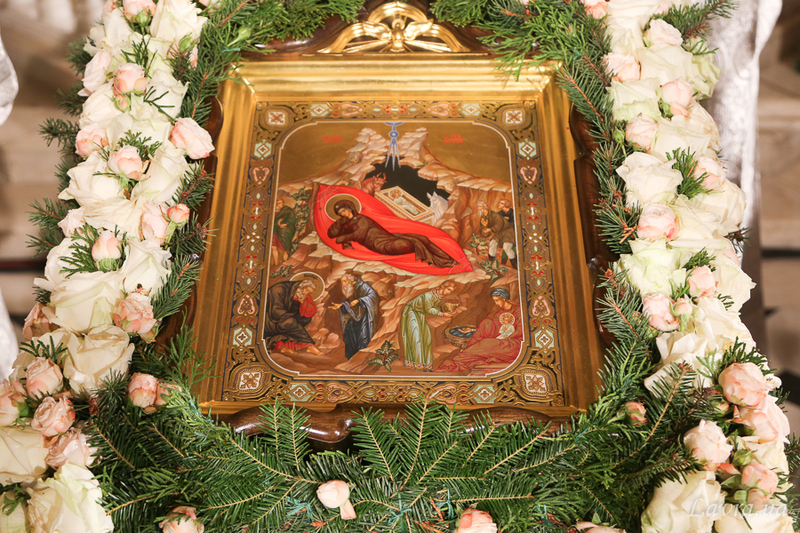 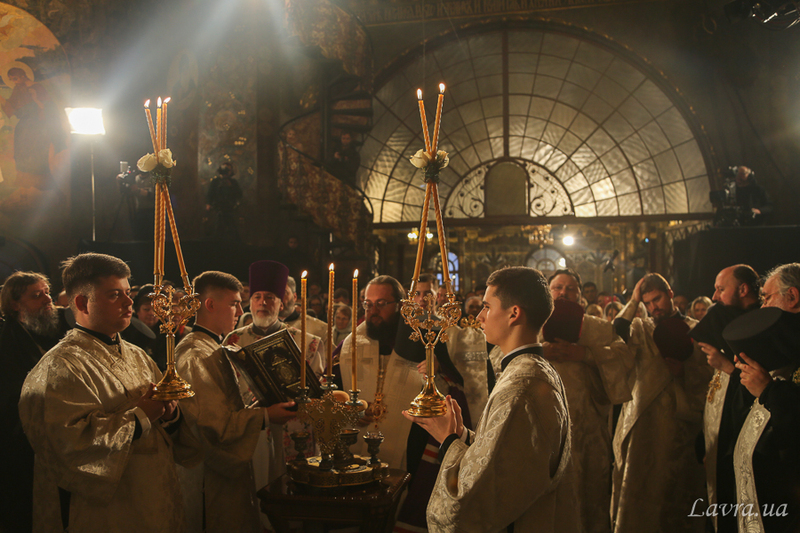 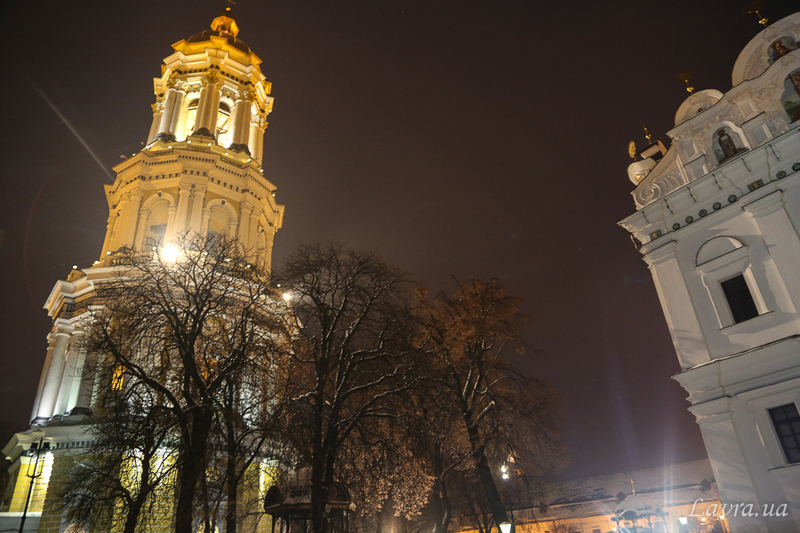 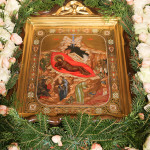 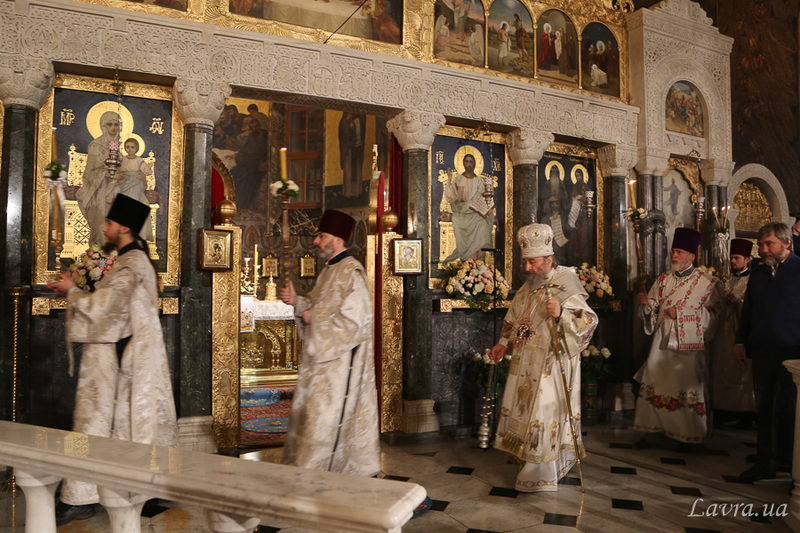 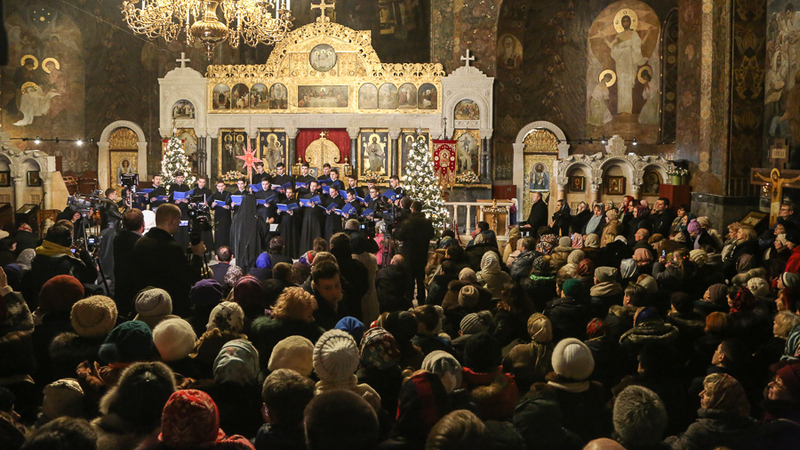 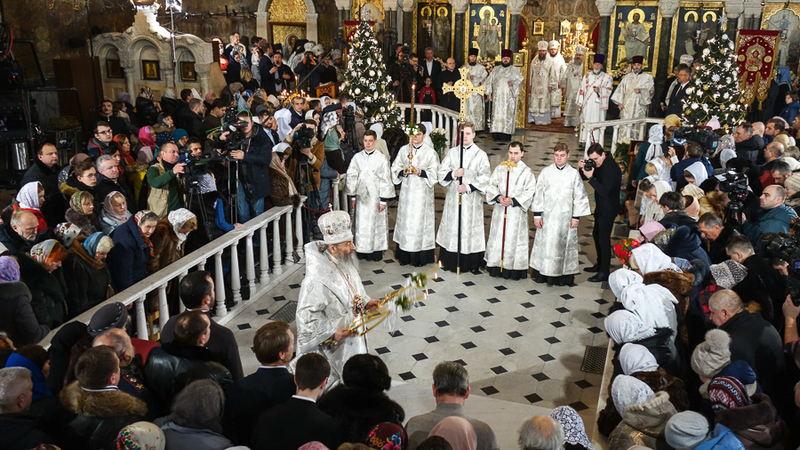 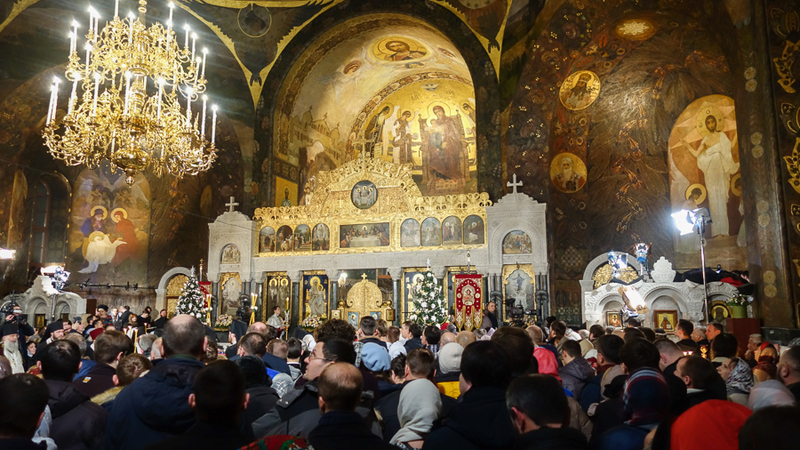 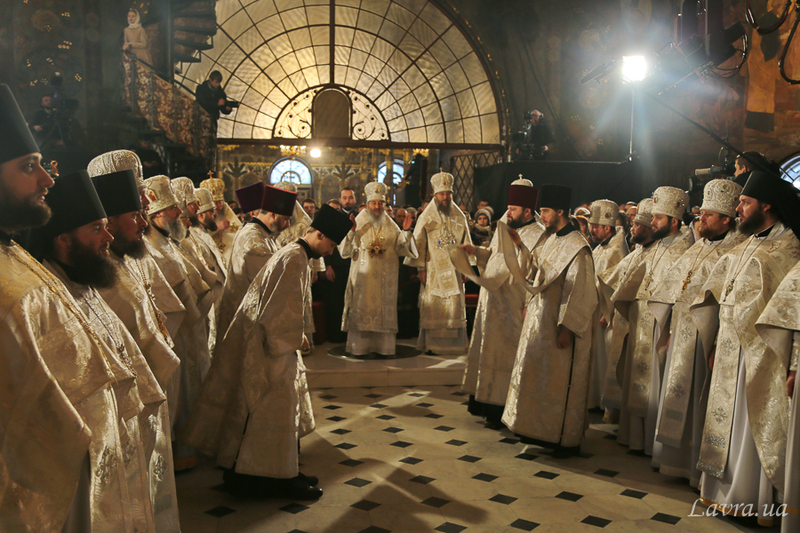 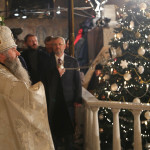 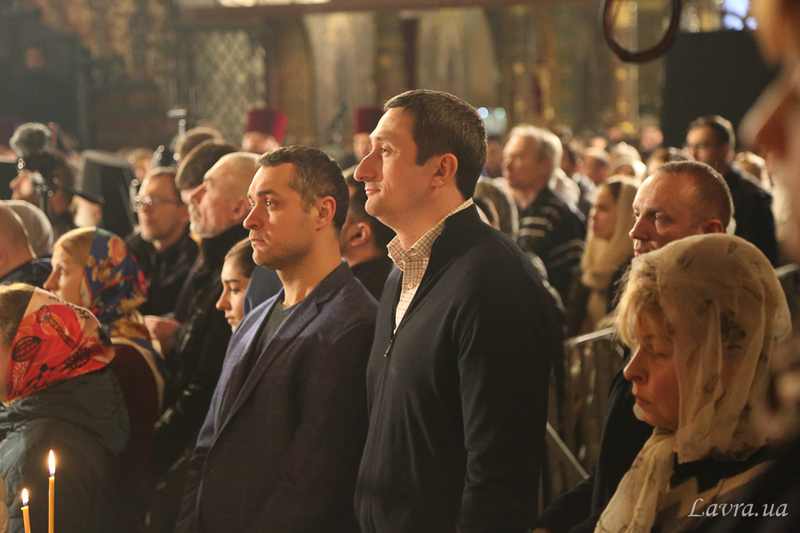 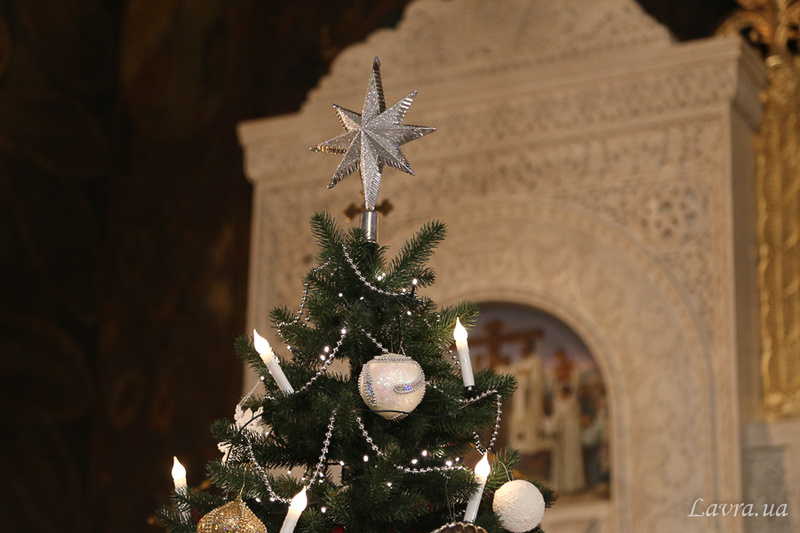 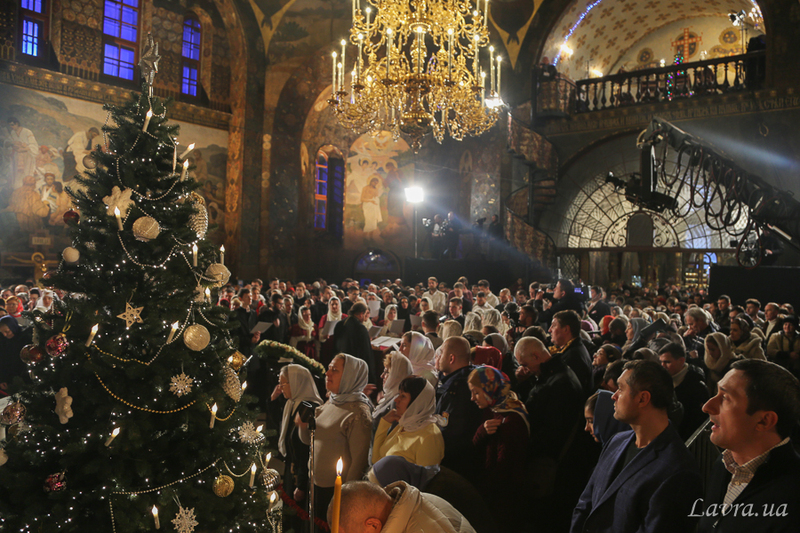 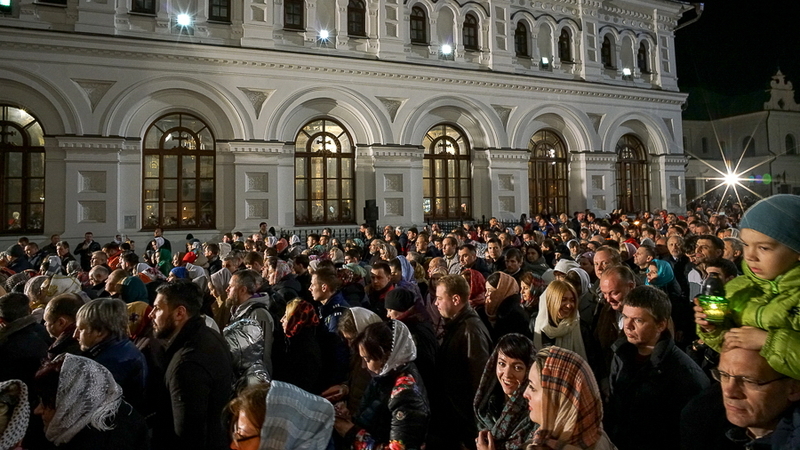 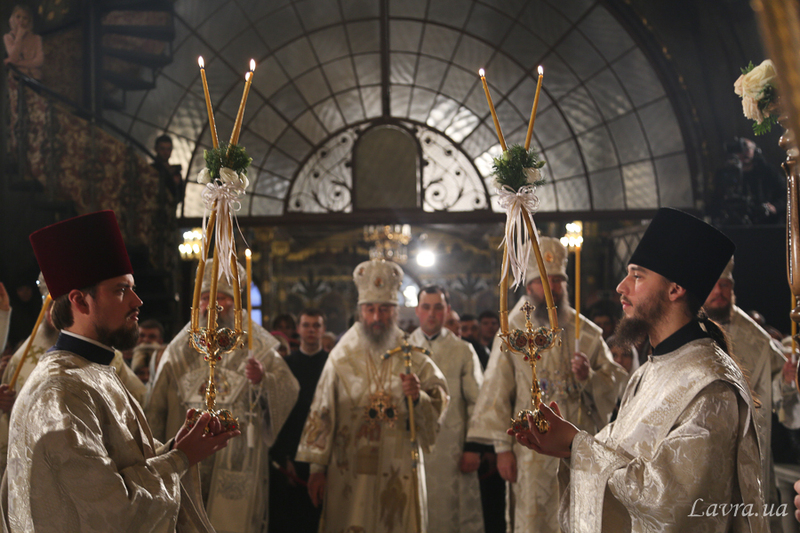 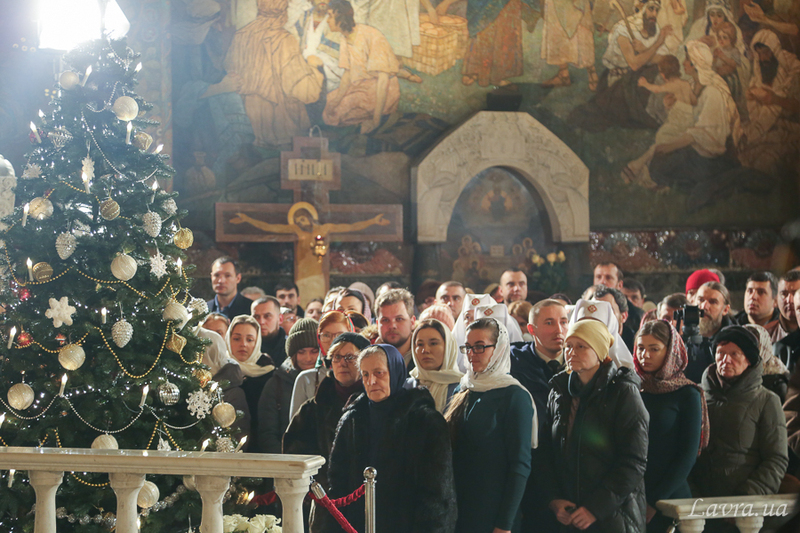 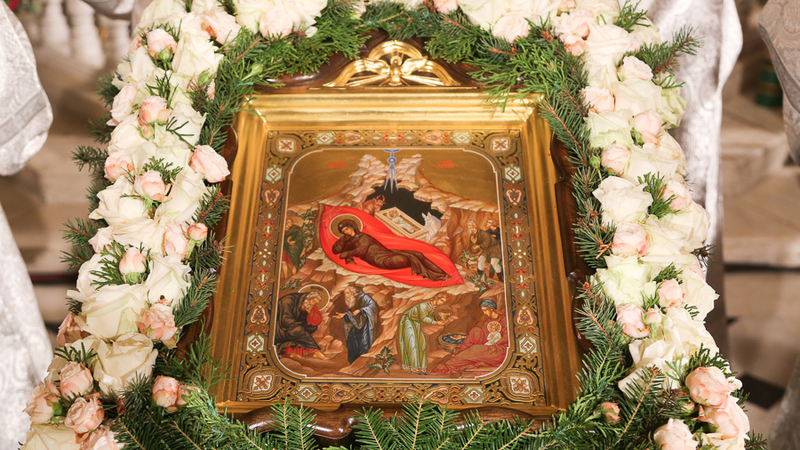 On the greatest feast of Nativity of our Lord God and Savior Jesus Christ the Divine services throughout Kyiv-Pechersk Lavra took place since the midnight. 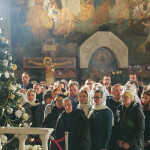 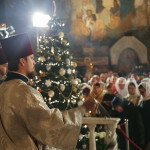 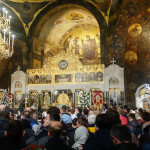 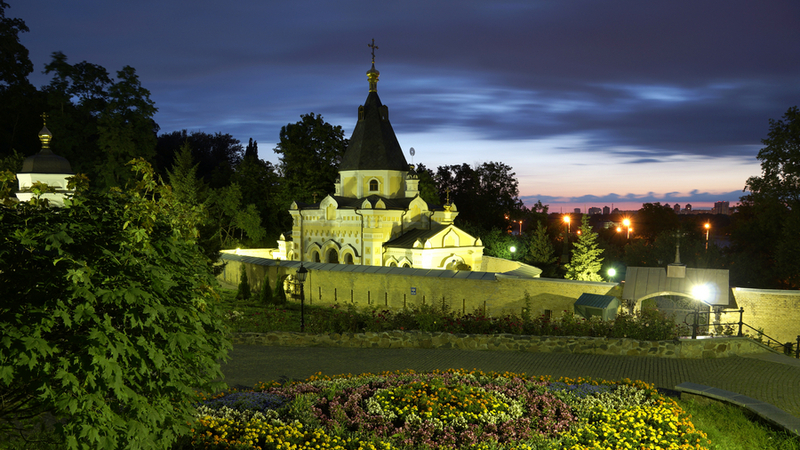 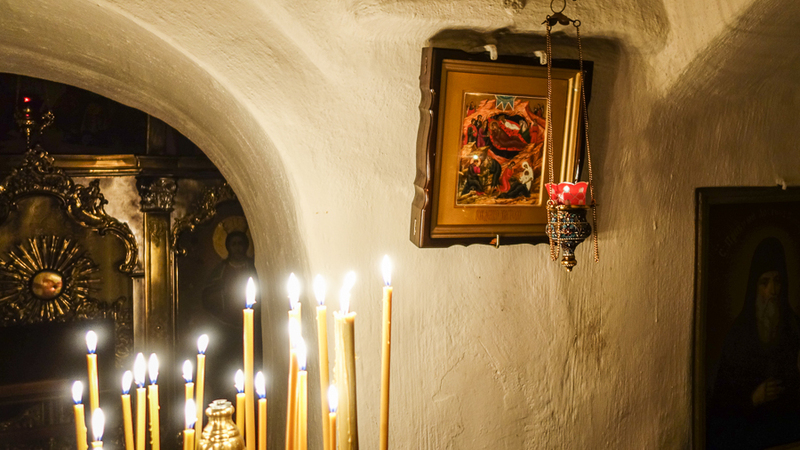 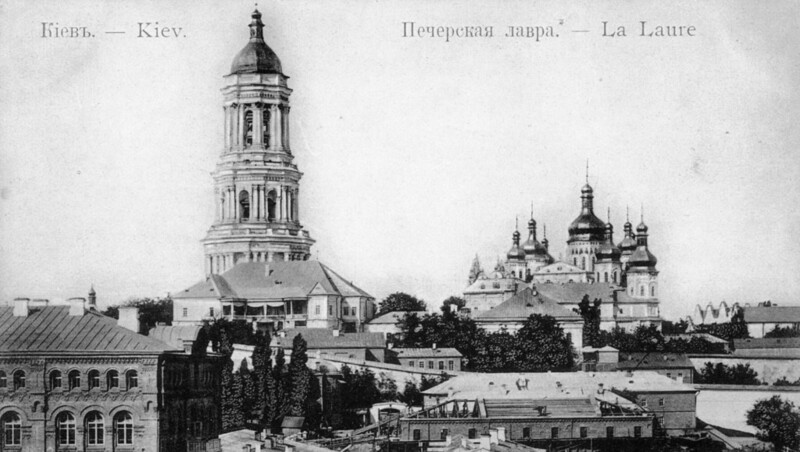 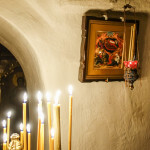 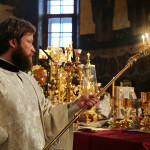 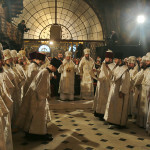 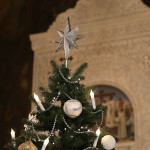 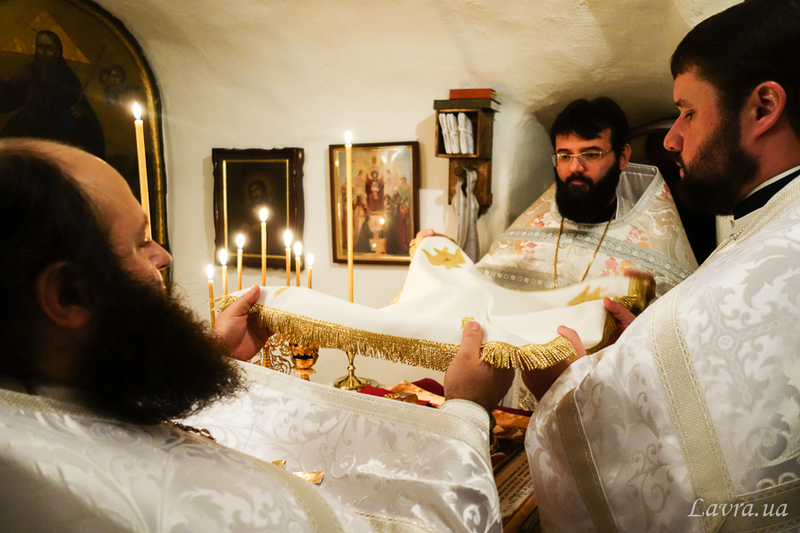 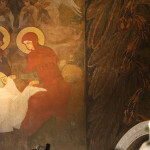 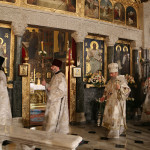 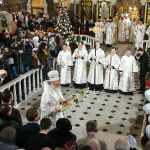 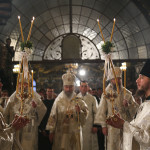 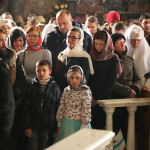 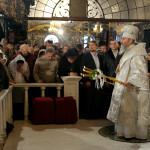 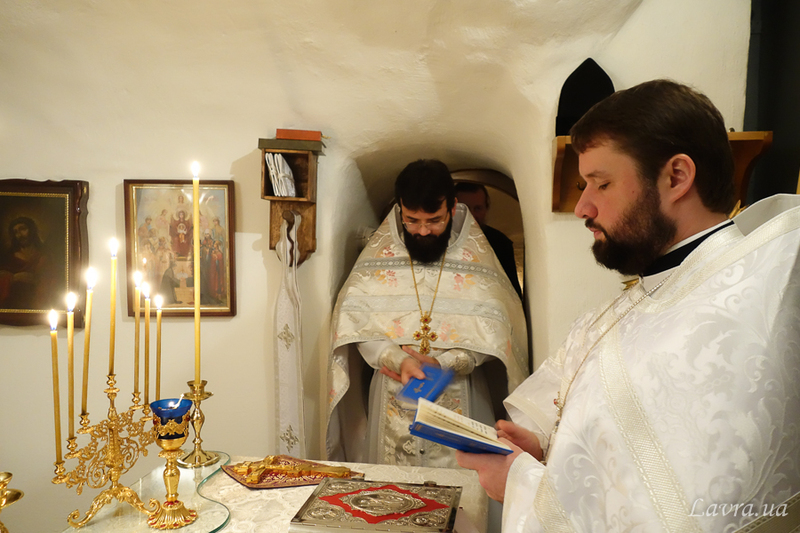 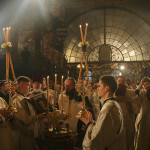 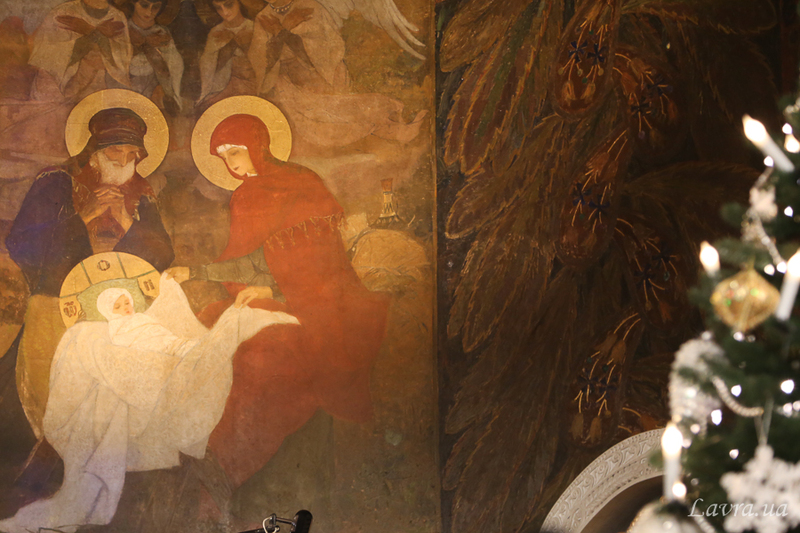 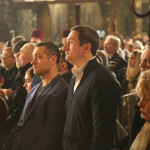 The main services were held at the Refectory church of Venerable Anthony and Theodosius Pechersky and in the underground church in Far caves dedicated to the Nativity. 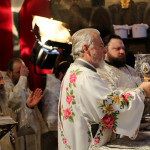 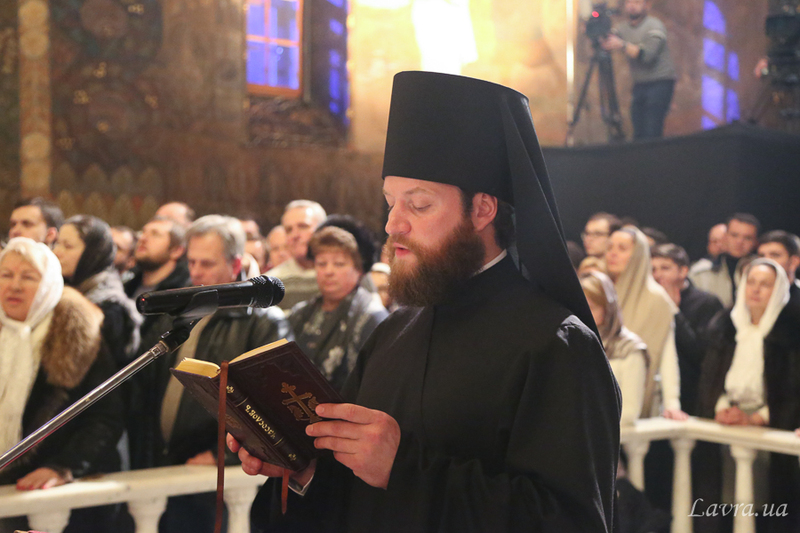 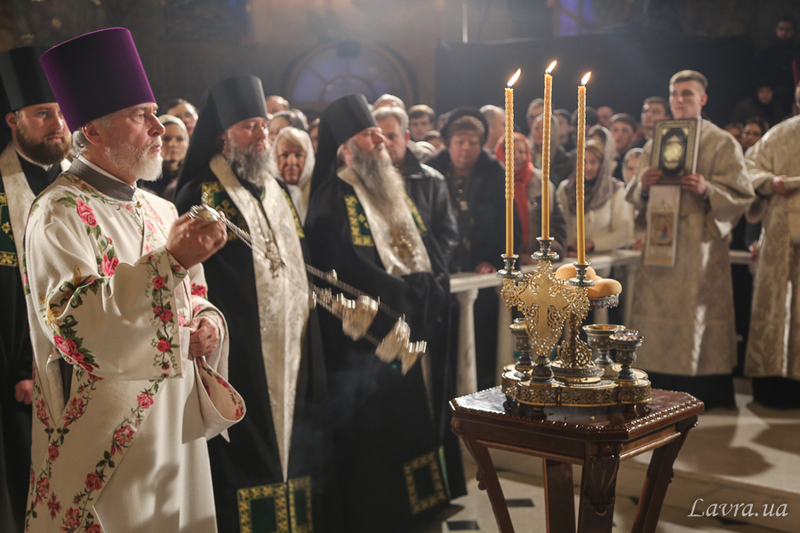 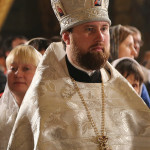 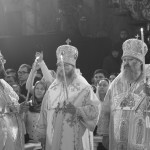 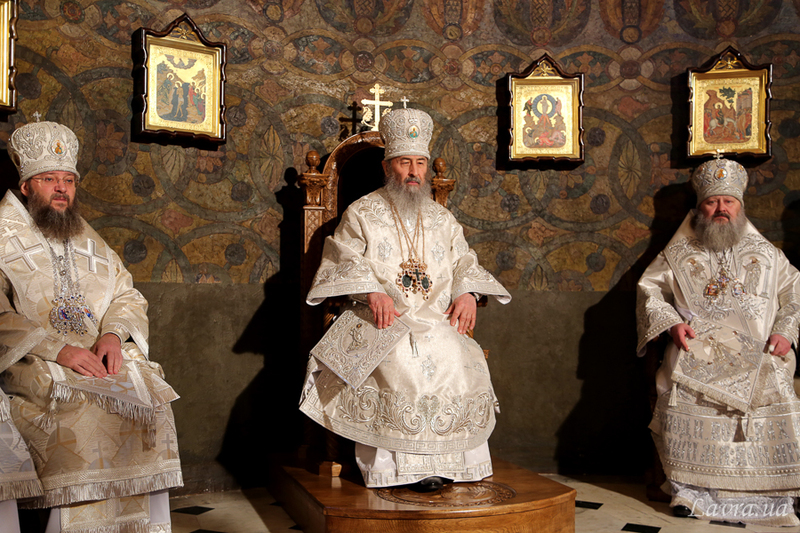 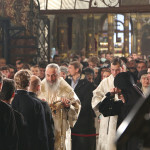 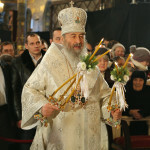 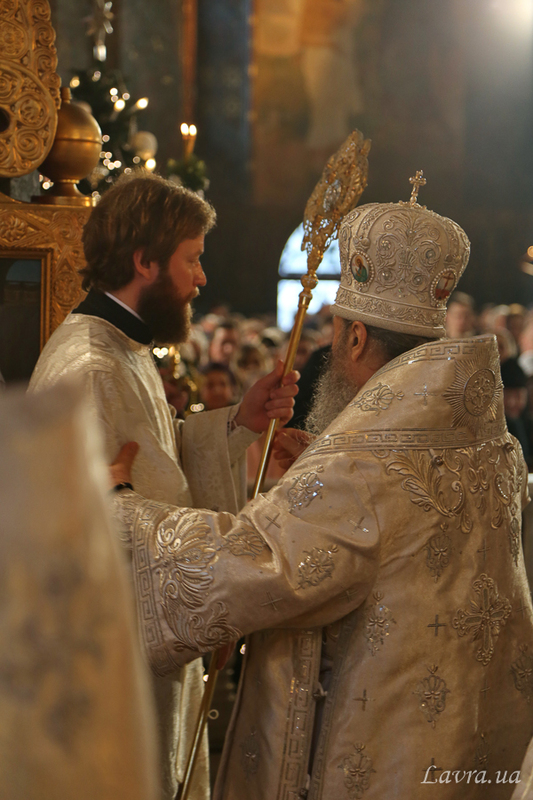 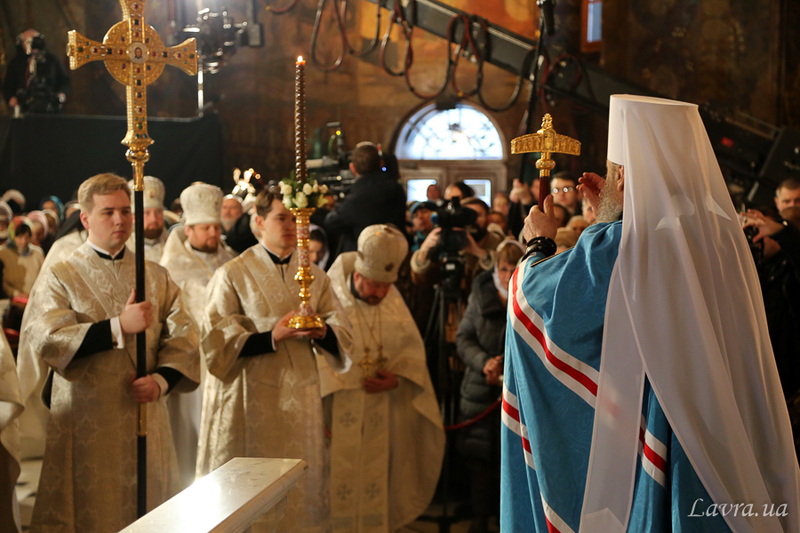 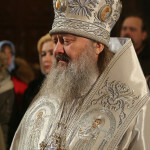 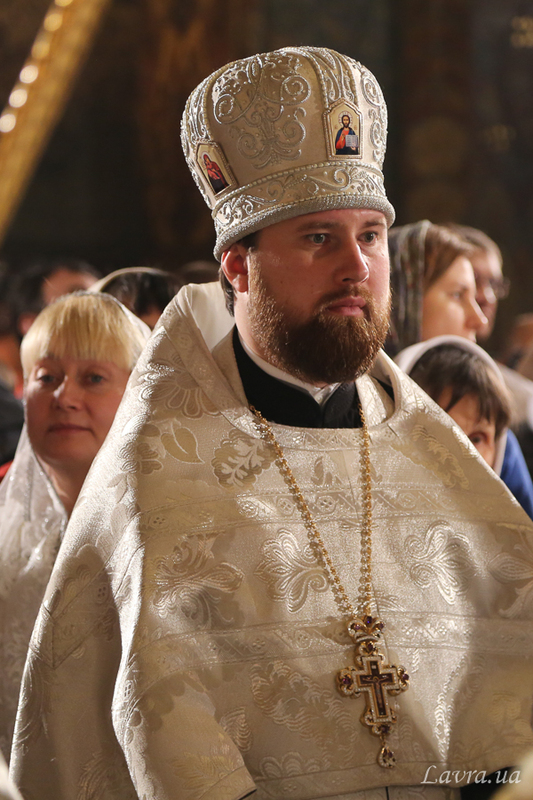 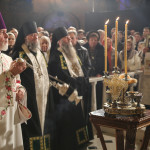 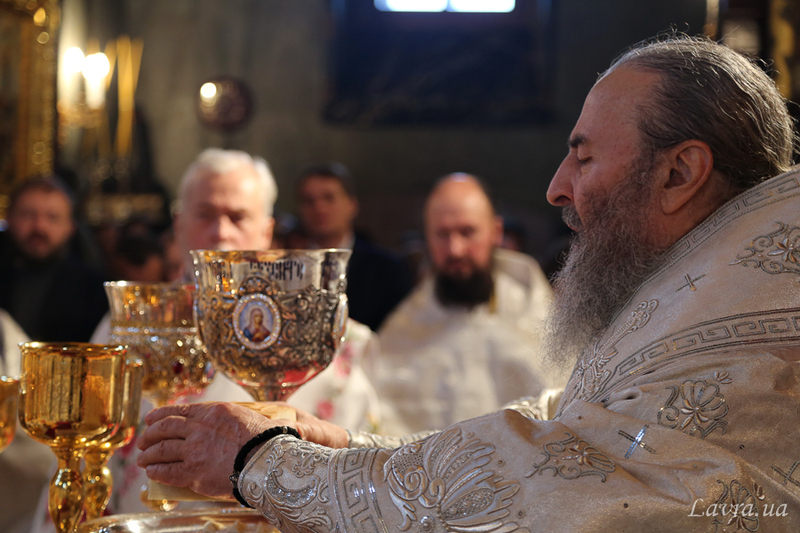 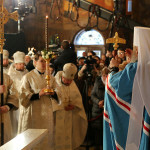 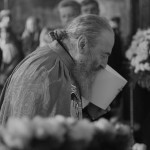 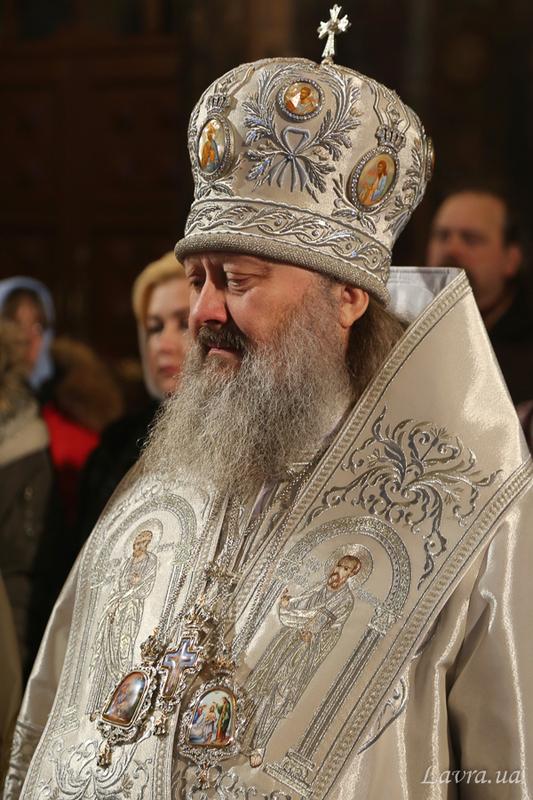 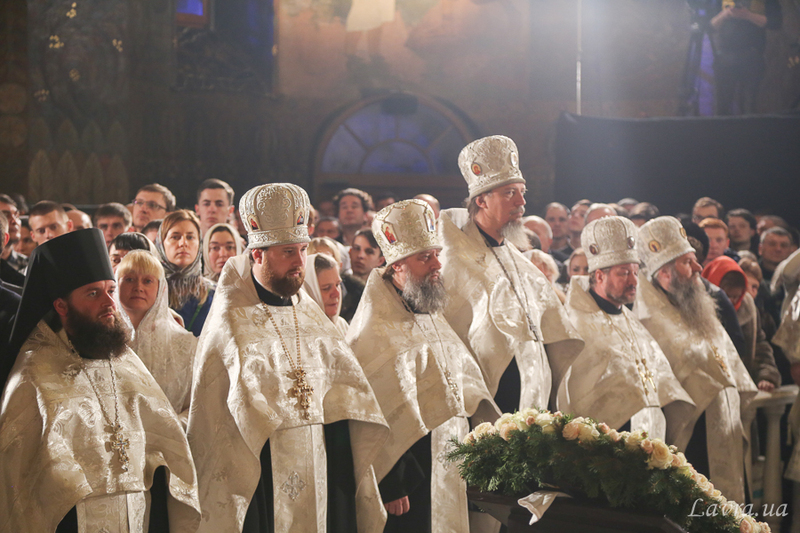 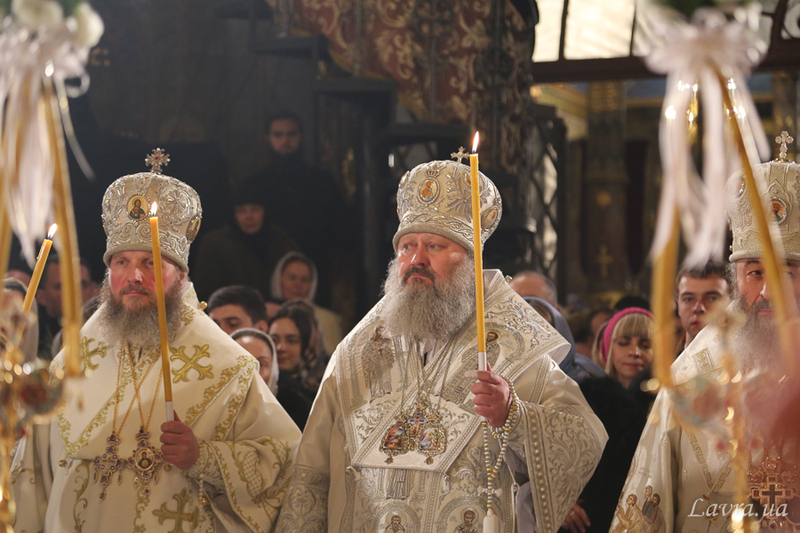 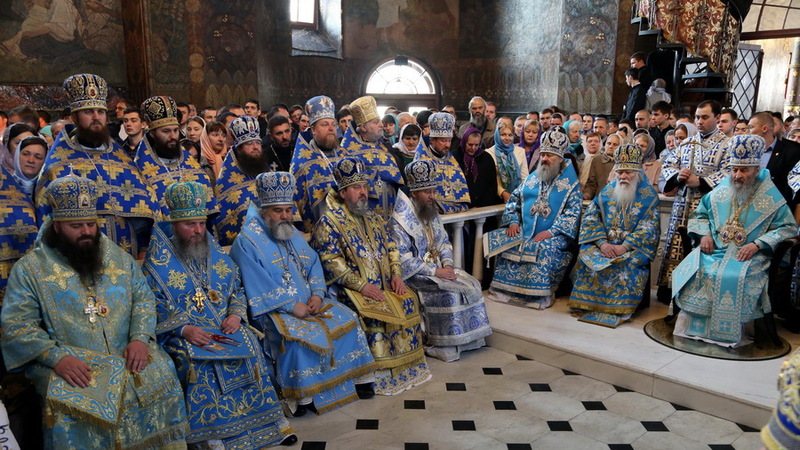 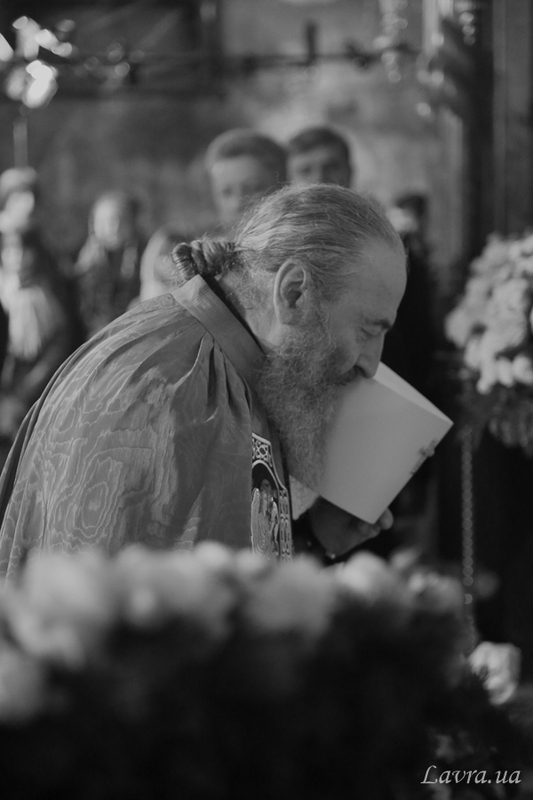 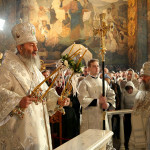 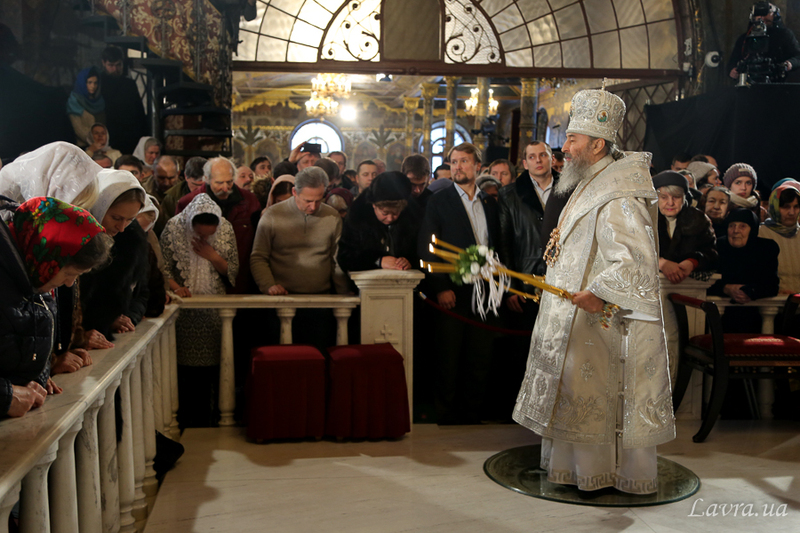 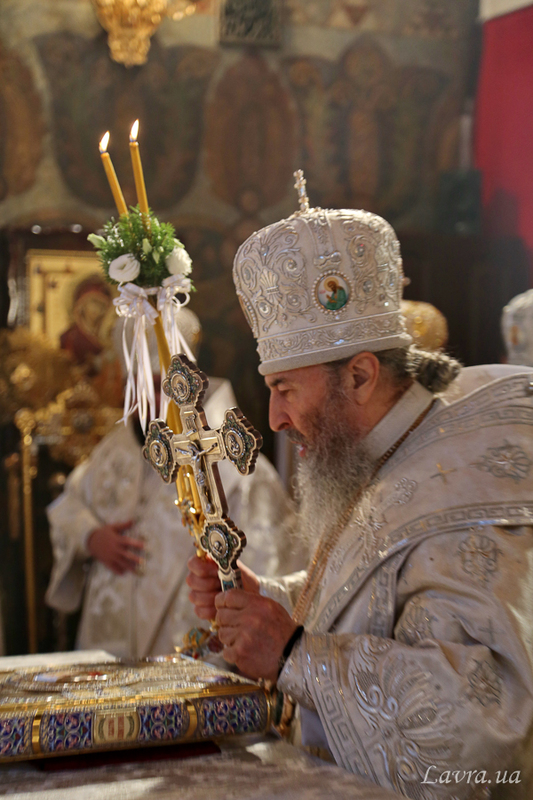 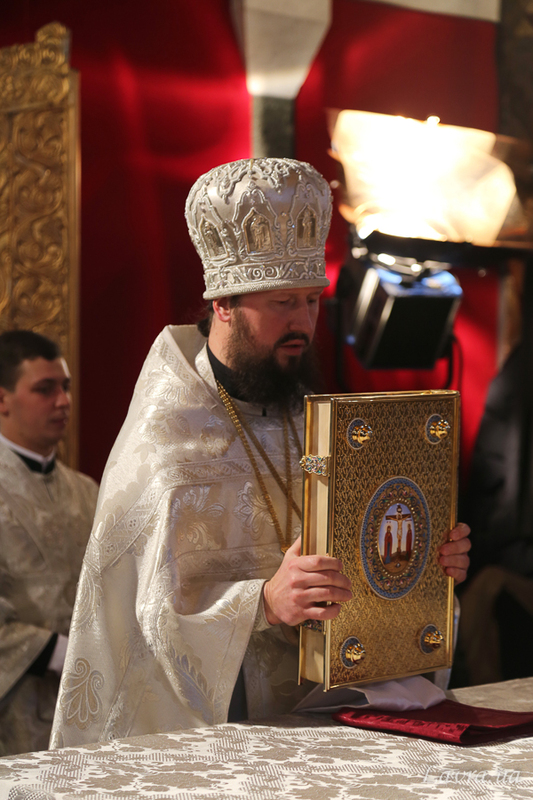 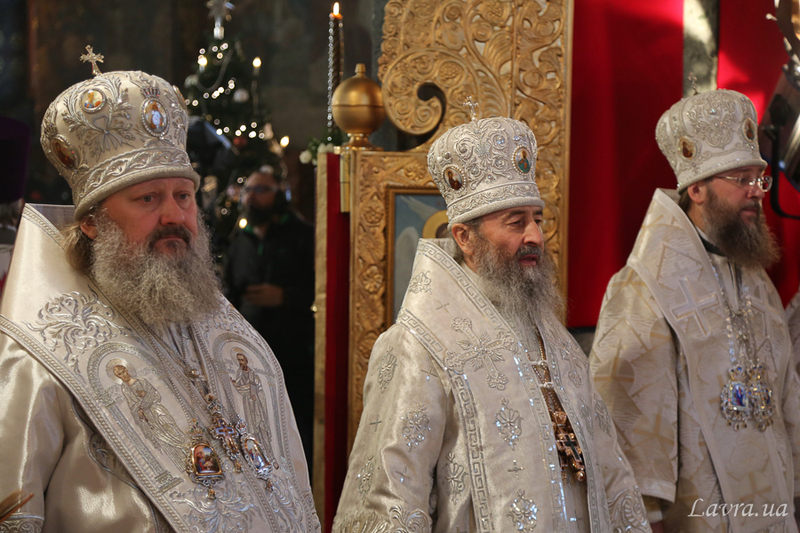 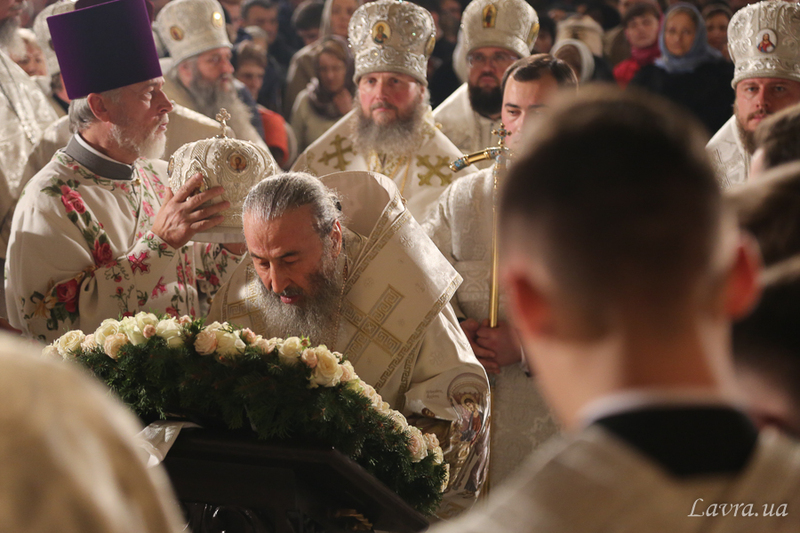 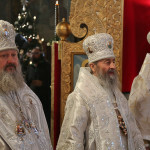 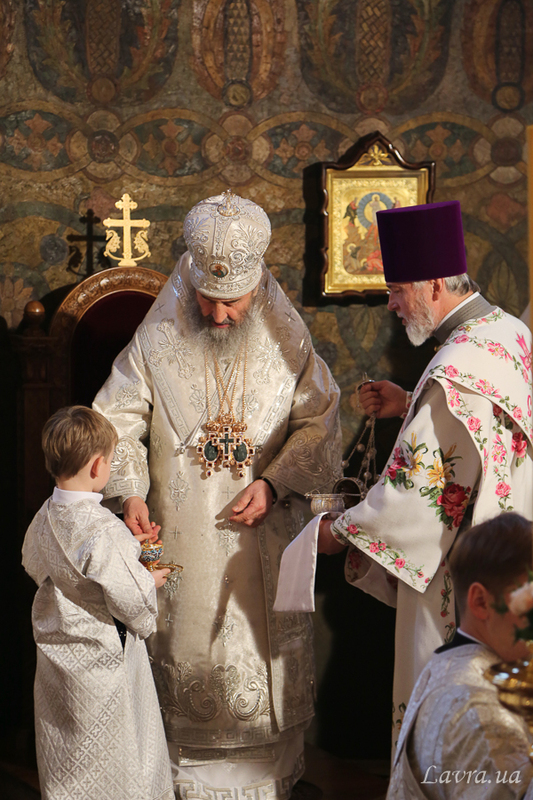 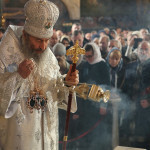 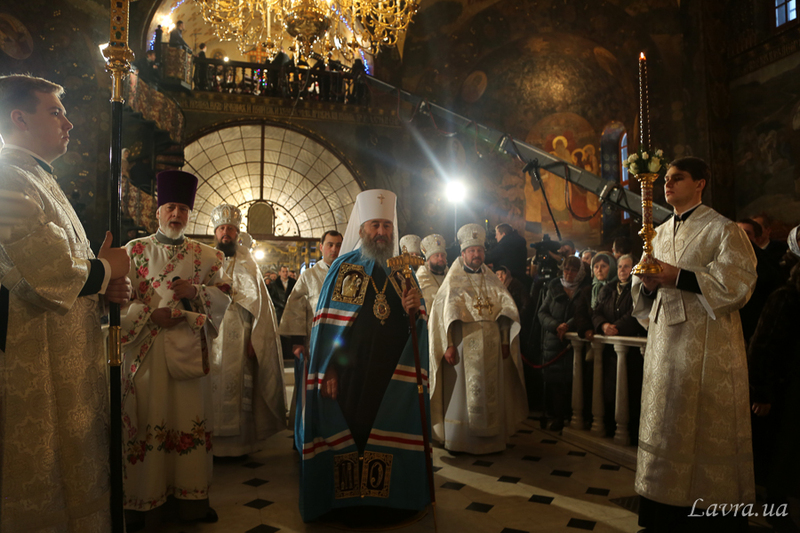 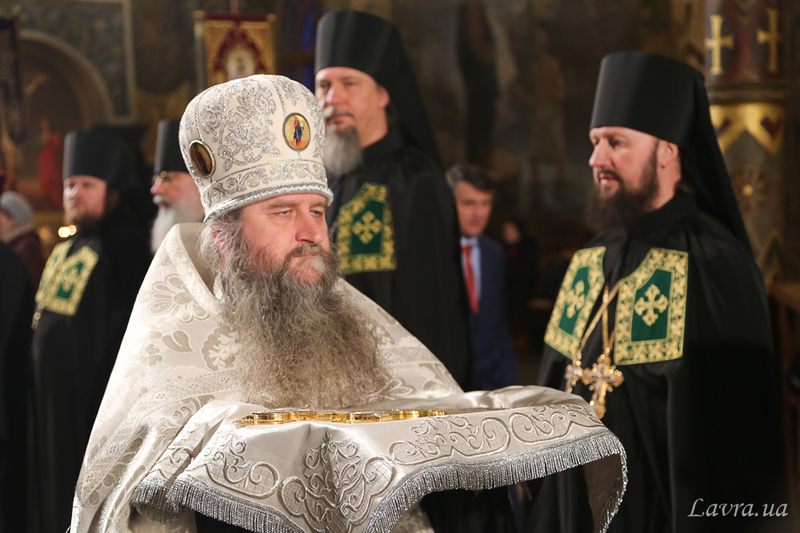 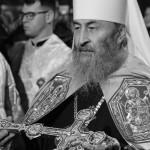 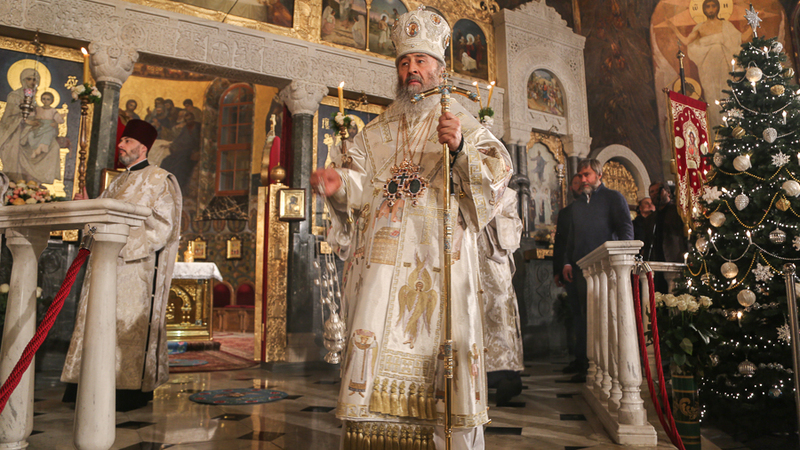 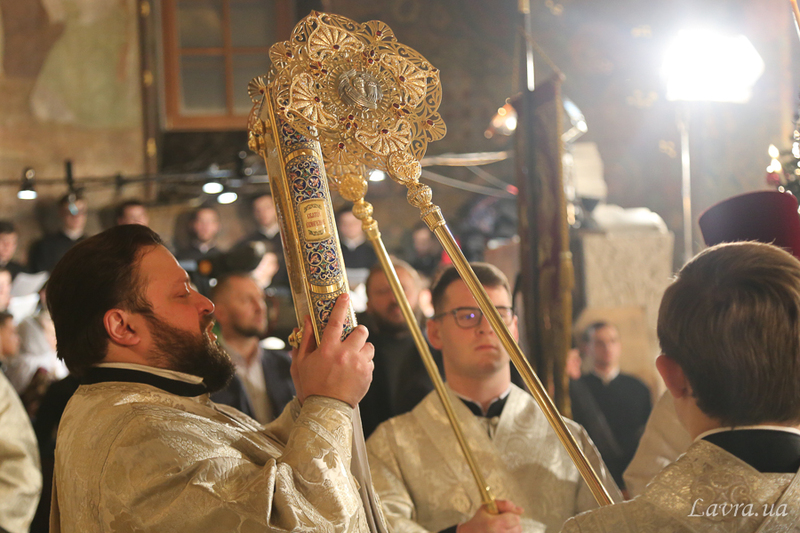 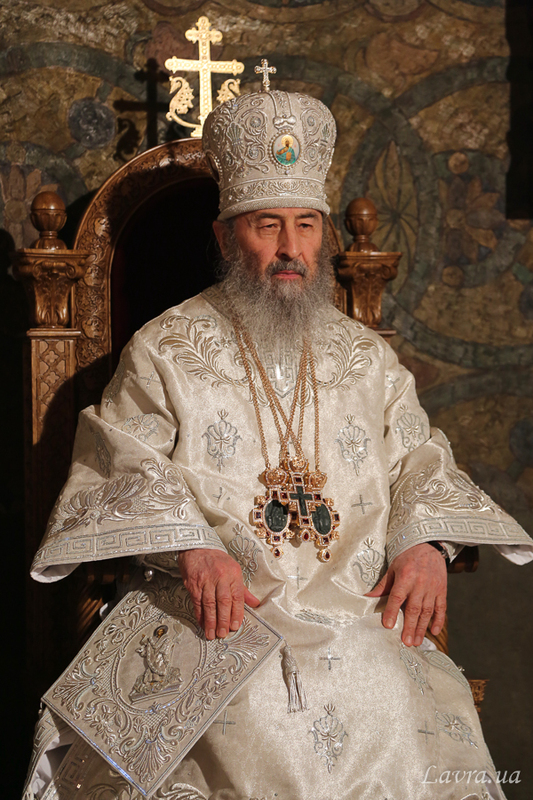 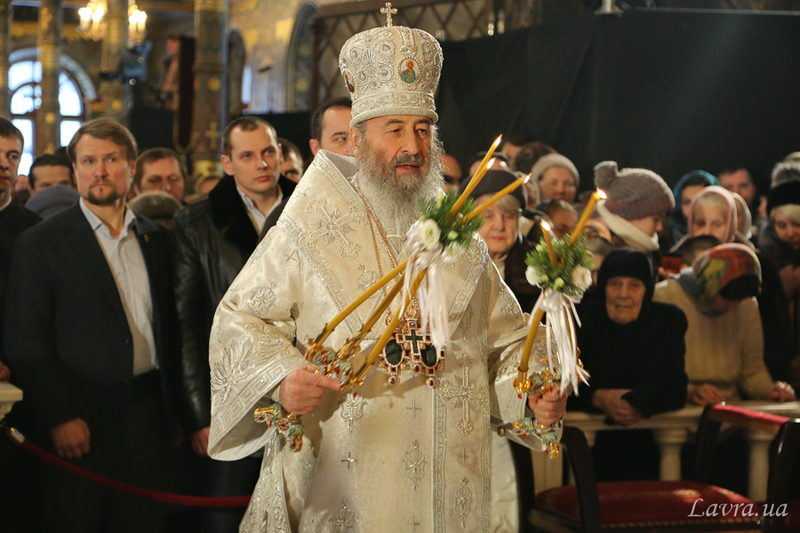 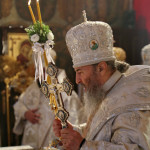 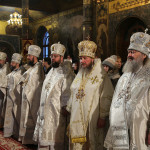 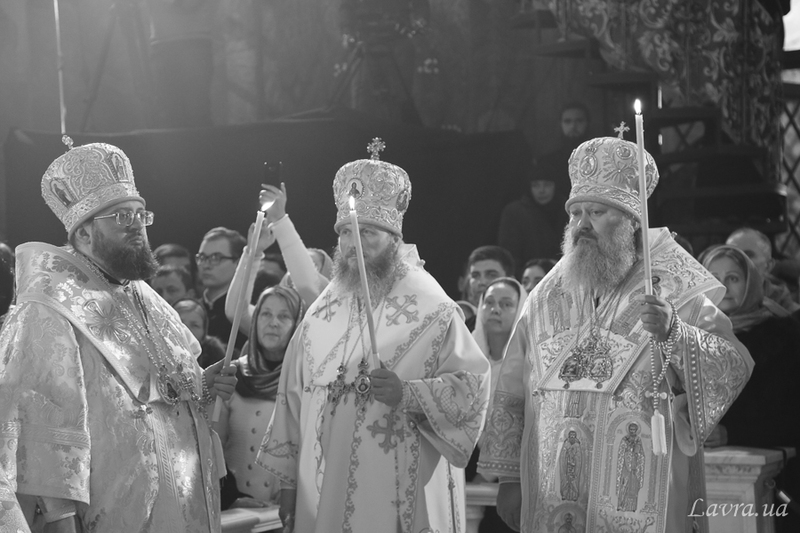 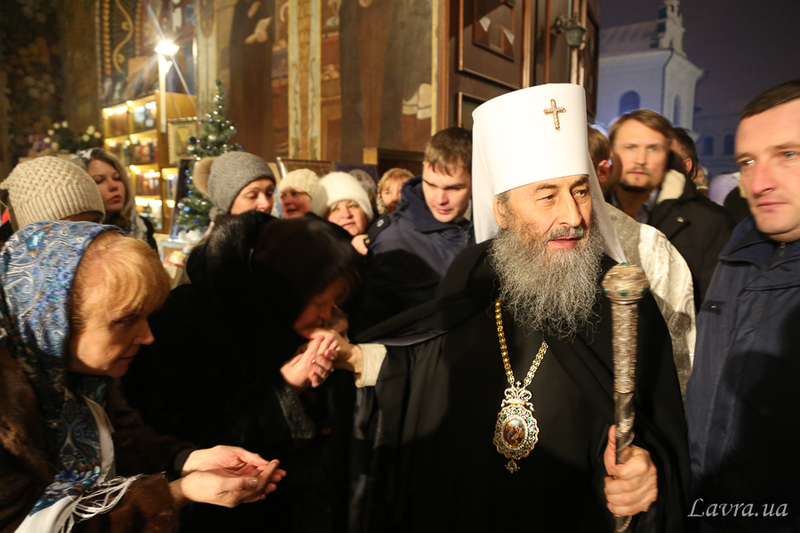 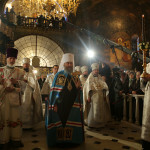 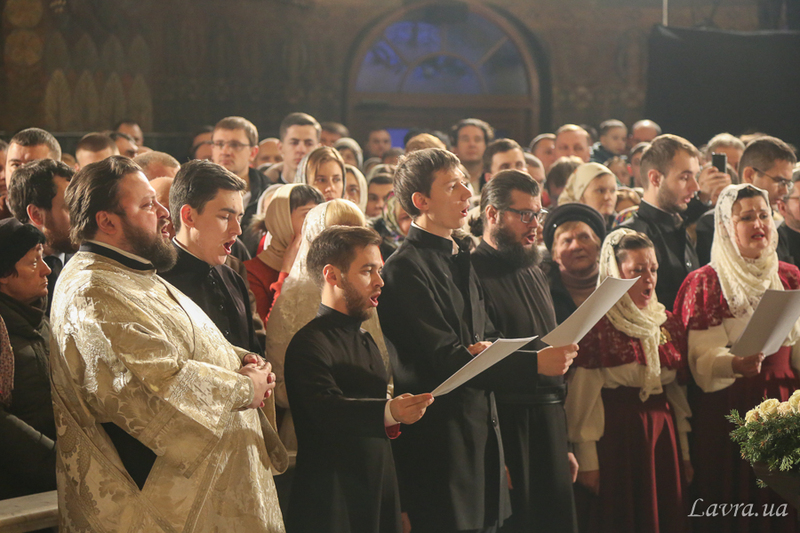 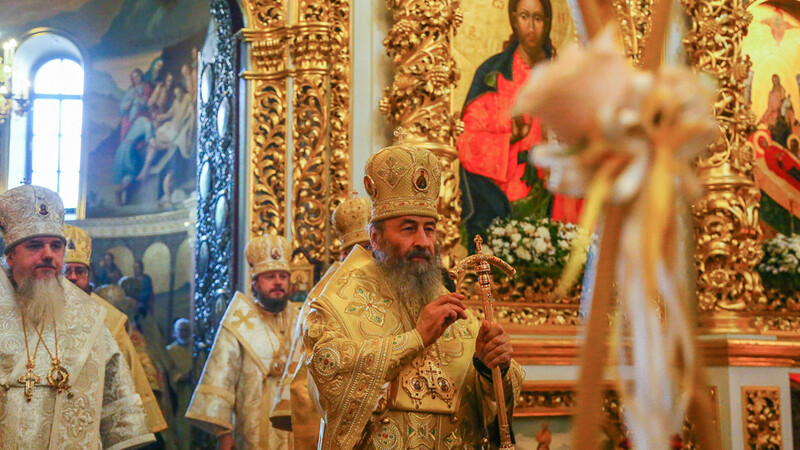 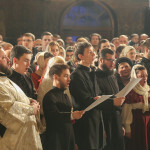 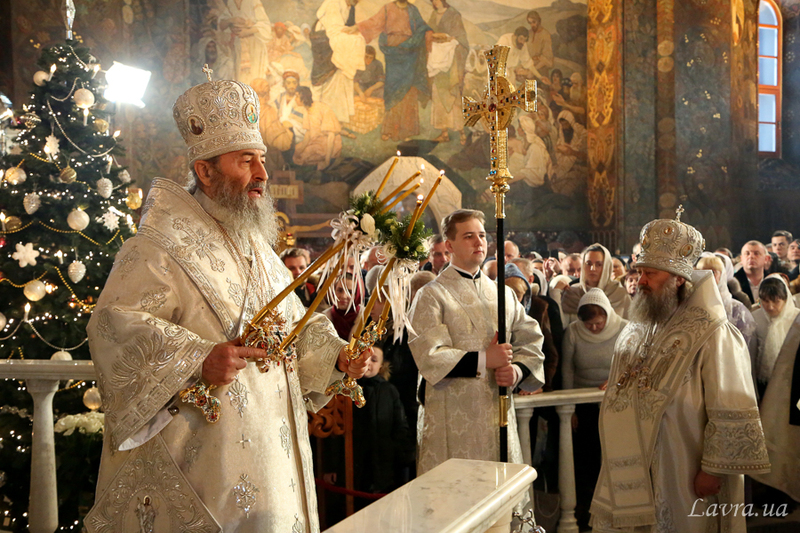 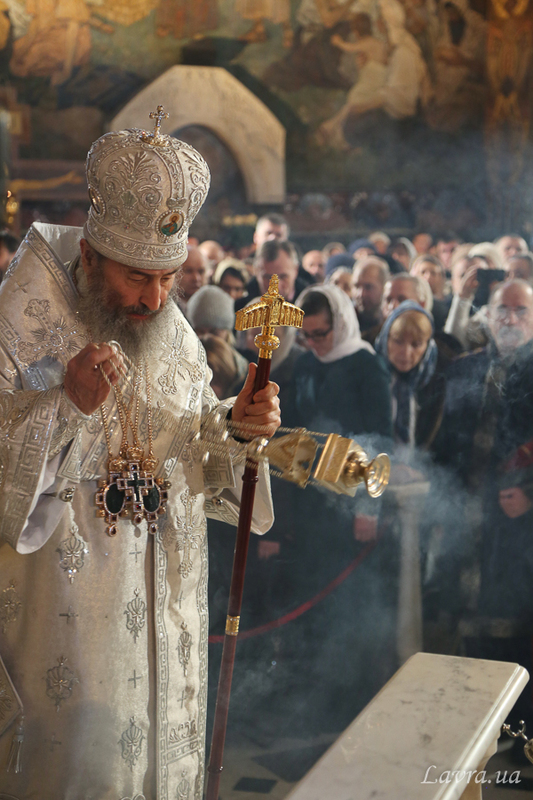 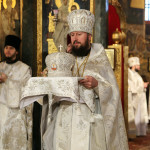 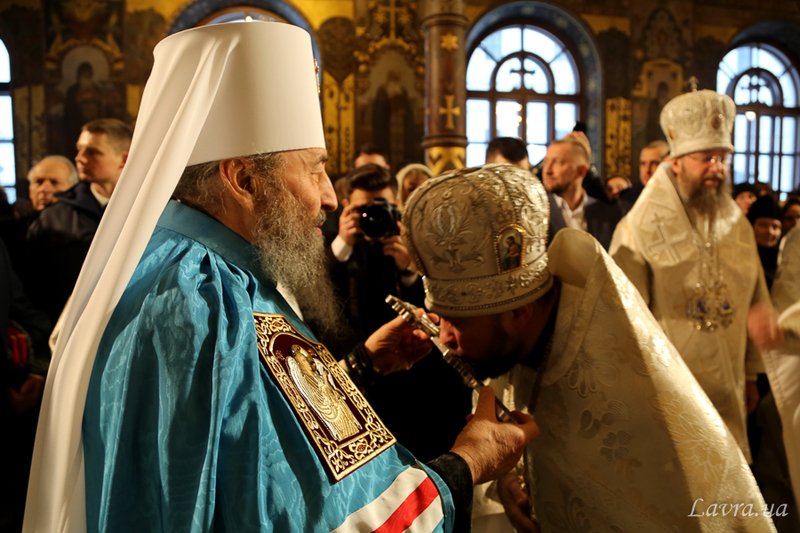 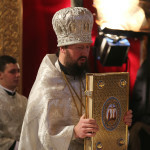 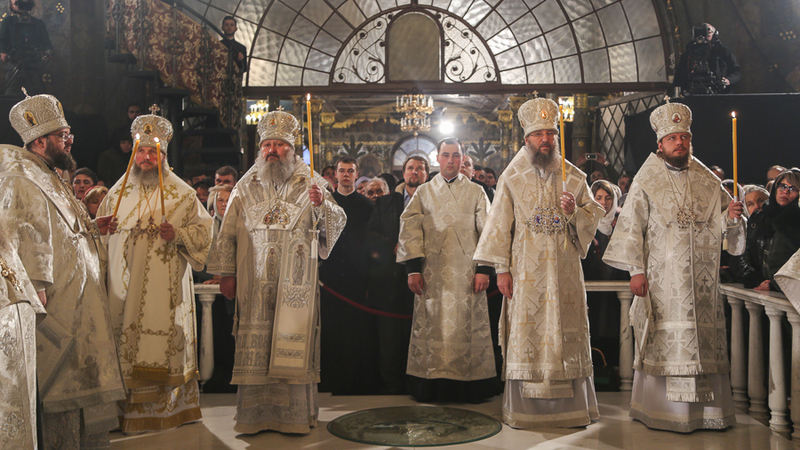 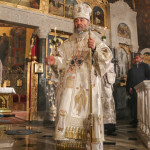 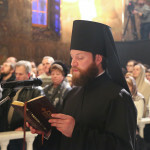 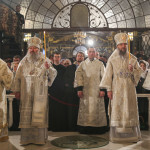 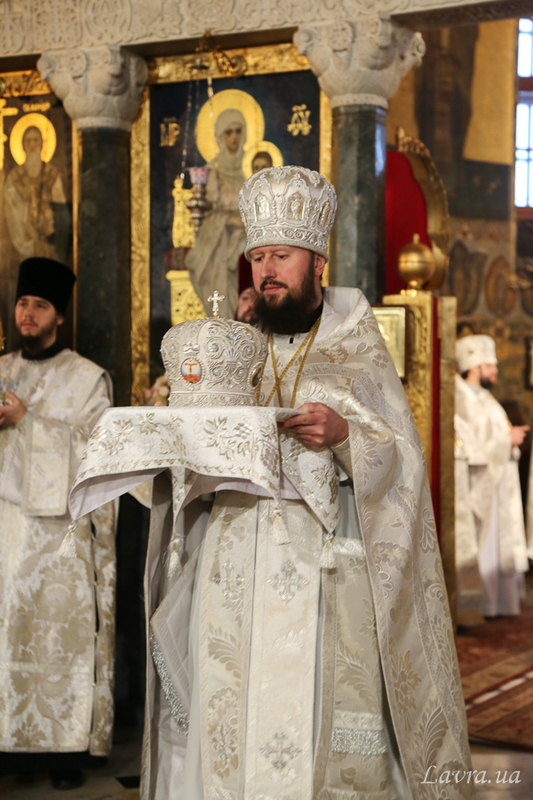 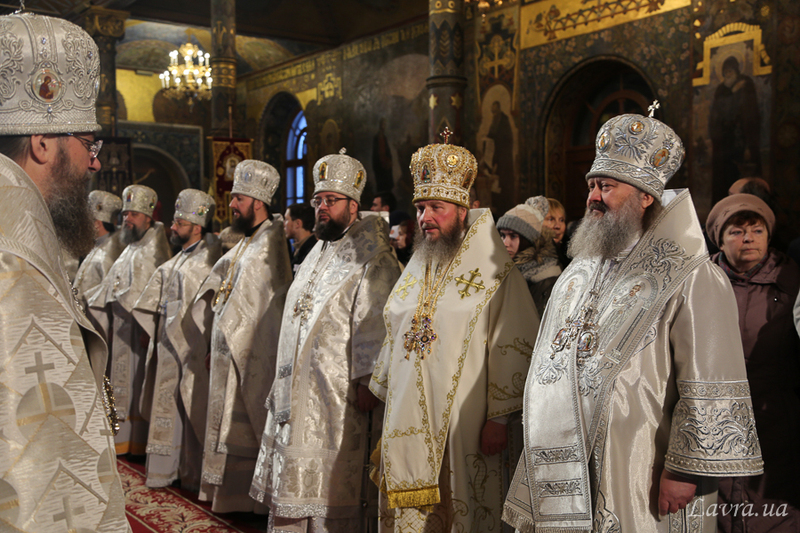 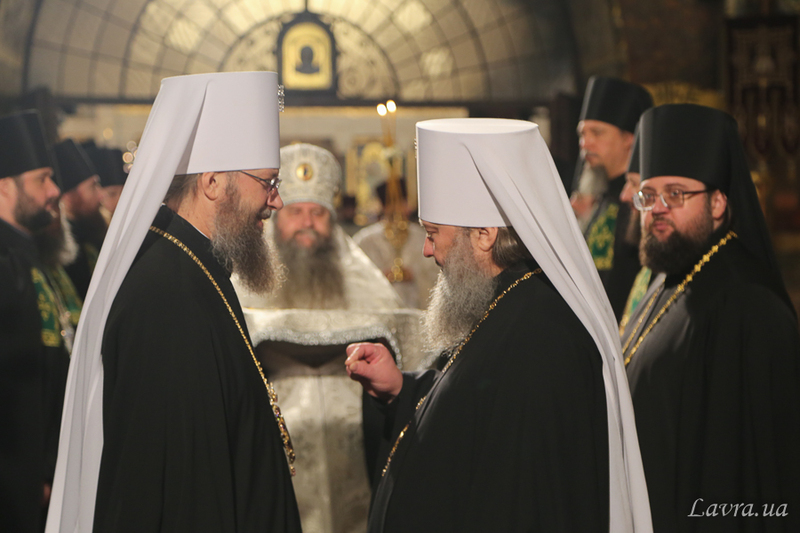 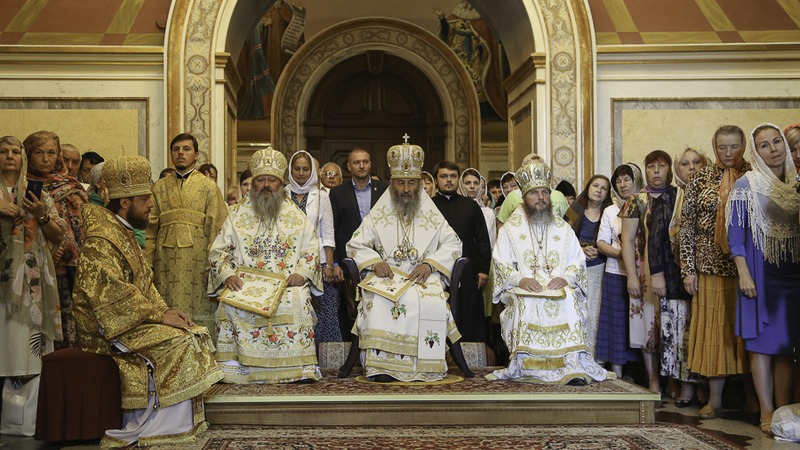 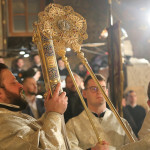 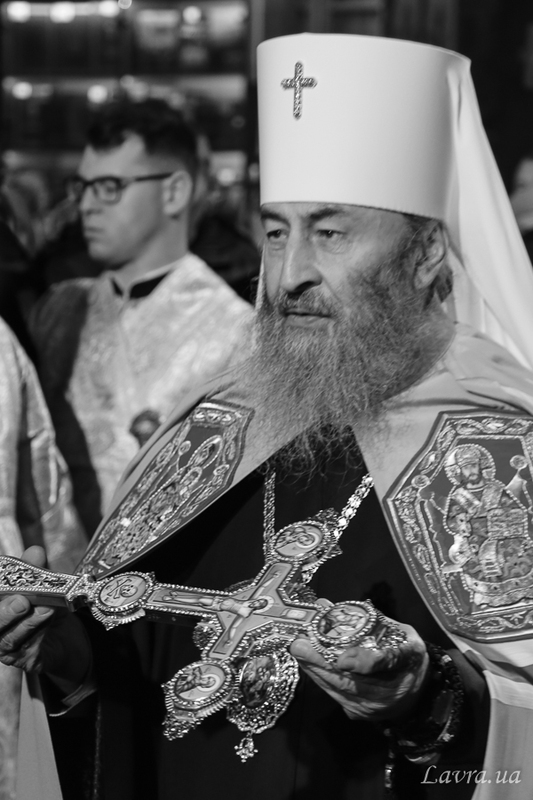 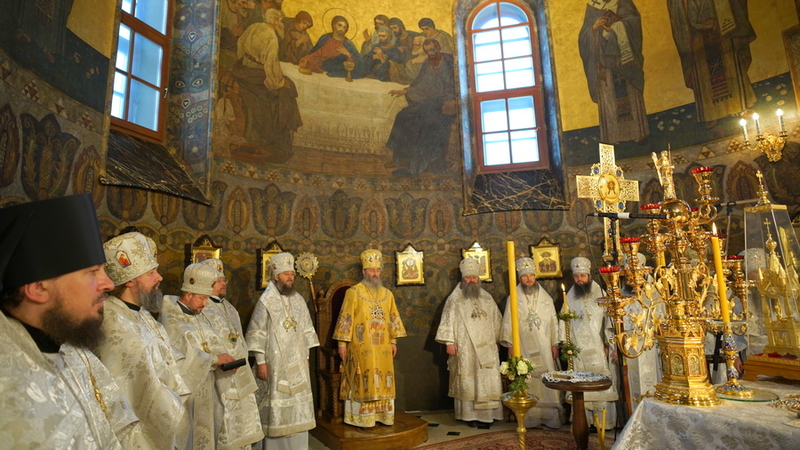 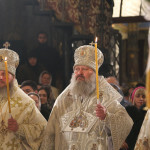 The Head of the Ukrainian Orthodox Church His Beatitude Onufriy, Metropolitan of Kyiv and All-Ukraine led the vigil, when Great Compline were followed by Matins and the Liturgy at the same cathedral on the day of the great feast. 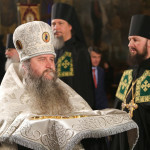 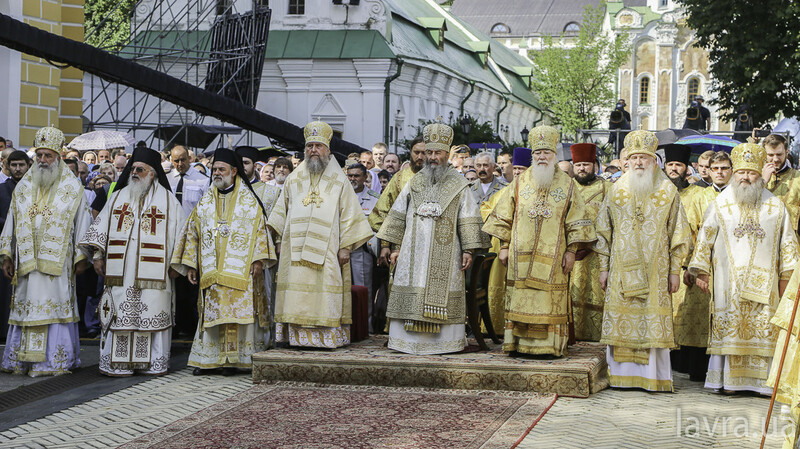 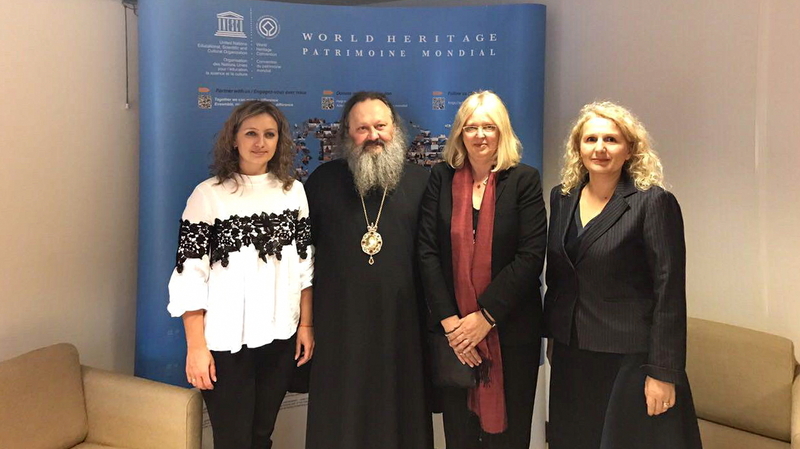 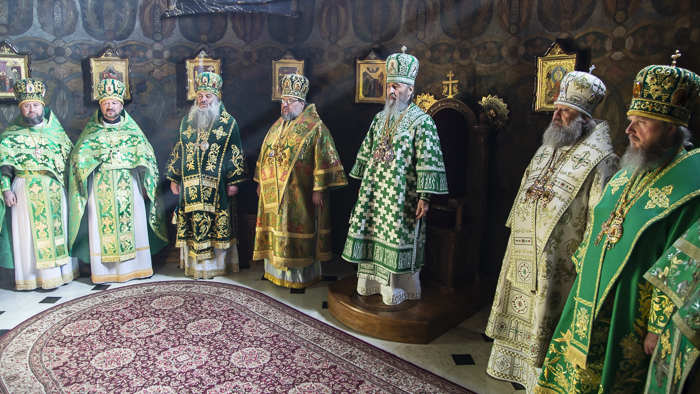 The Vicegerent of the Lavra metropolitan Pavel of Vyshgorod and Chornobyl joined the Head of the Ukrainian Orthodox Church with the council of bishops and priests. 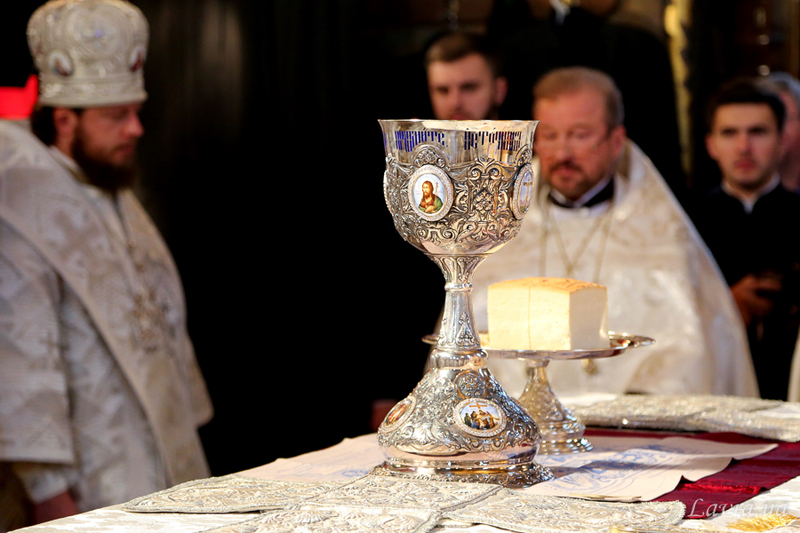 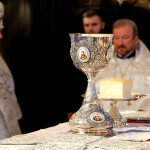 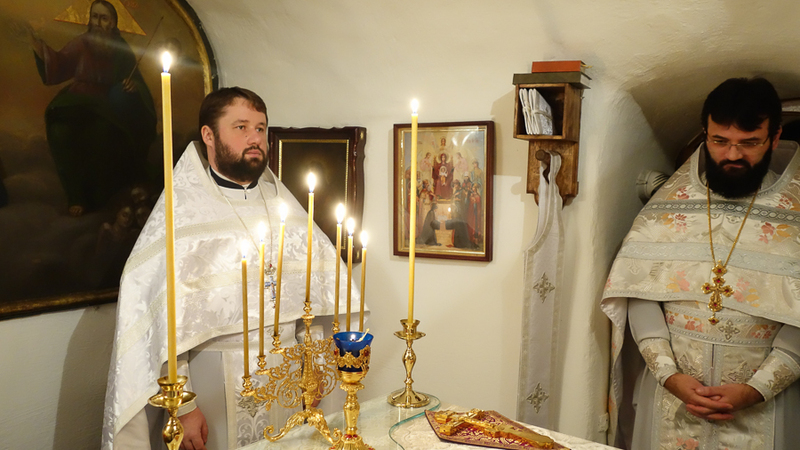 Also brethren All-night service with the Liturgy was celebrated at the same church (video record below).